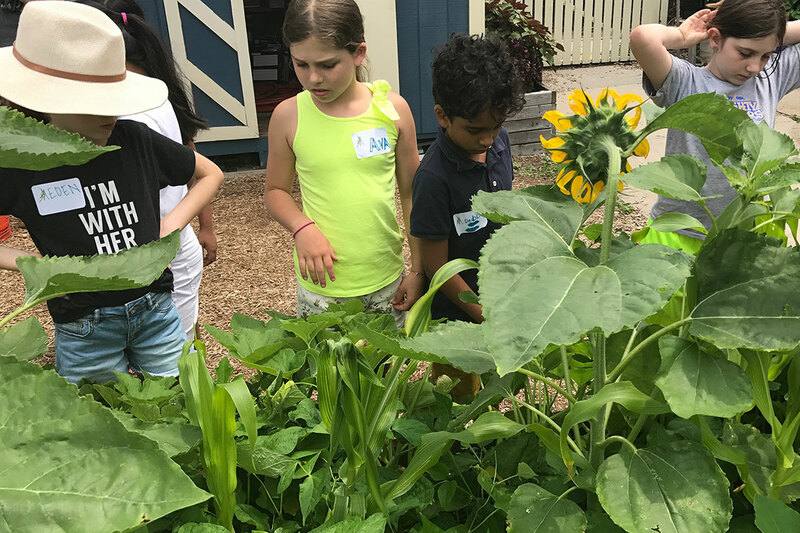 In addition to our signature Camp Léman which serves 3-10-year-olds, Léman Manhattan offers unique week-long intensives for older children to hone their interests in specialized areas. Campers engage in high-level instruction to deepen their passion and knowledge about the area of focus. Programs are overseen by our dedicated faculty as well as outside professionals and select program partners. Many programs conclude with an event for family and friends to highlight the experience such as a multi-course lunch at a pop-up restaurant run by the campers, an instrumental concert, a drone demonstration, and a film screening. Intensive instruction and rehearsals culminate in a concert led by Léman's amazing music faculty. Campers enjoy trips to expand their enjoyment of music. 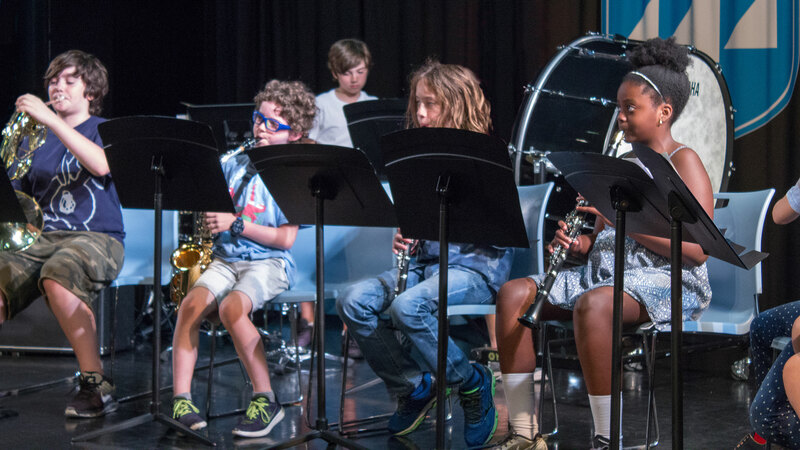 A tremendous amount of skill development occurs over the week, as campers deepen their appreciation for their instrument while having a blast! Please note: Campers need at least one year of experience on a concert band instrument. 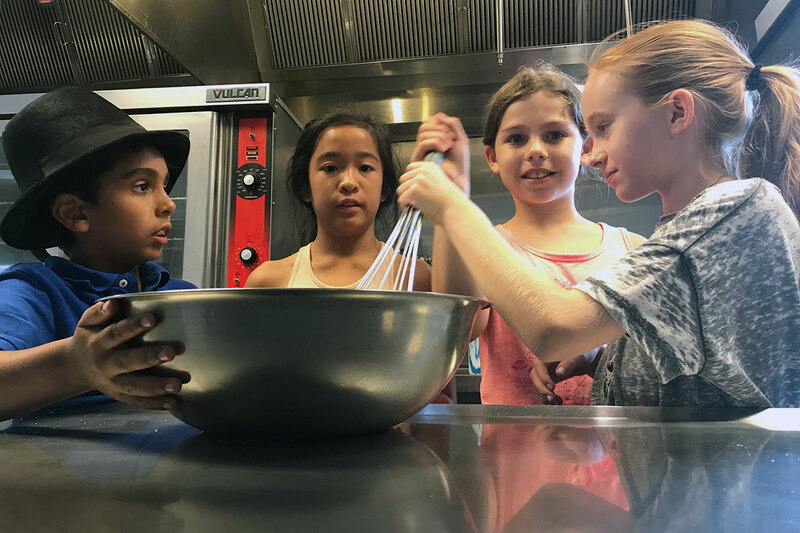 Young gourmands experience every aspect of the culinary arts, focusing on the quality of ingredients along with the skills and techniques necessary to create great meals! The Léman Chefs have developed an abbreviated taste of Culinary School combining lessons in the kitchen with excursions to greenmarkets, specialty shops, and other "foodie" destinations. Families dine at a camper-created pop-up restaurant for Friday's lunch… sure to be a highlight of their summer! Lights, Camera, Action! 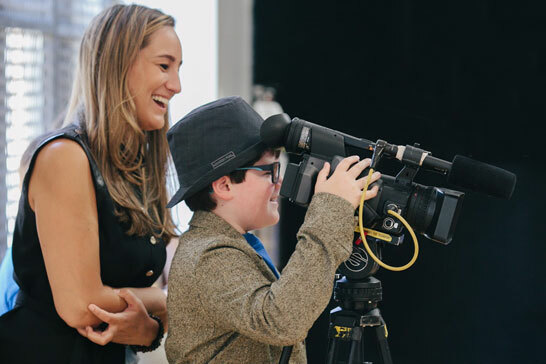 Campers work together in teams to write, act, shoot and edit their own short films. Children can participate in all aspects or just the areas that interest them. At week's end teams have at least one film to screen for their families. Professional equipment, cameras, audio and editing software are provided. More information at Take Two Film Academy. If you love "Shark Tank," this empowering camp is for you! Join other intrepid campers to develop a business plan for your own idea (or we can suggest one). Learn to take risks and persevere, while making business decisions about strategy, marketing and finance. Campers build confidence "learning by doing" and make their "pitch" presentations on the last day of camp! More information at Spark Business Academy. For the sports lover, future General Manager, sports team owner or ESPN analyst, this unique program will “show you the money” in sports! Campers analyze different sports topics, including the value of sports teams, player compensation, college sports, endorsements, the Nike vs Under Armour competition, sports agents, the Super Bowl, e-sports and more! Learn how to start investing at a young age and make your money grow! Pick your own $10,000 stock portfolio with a cool stock-trading simulation tool using real-time market data. This hands-on experience empowers campers with the tools and mindset to face future investment decisions with confidence and "buy low, sell high"! A solid foundation for successful future investors! Program includes activity breaks and enriching field trips to nearby business destinations, including the Federal Reserve (and its gold vault! ), fun scavenger hunts at the Museum of American Finance, the NYSE and Federal Hall! This awesome program will bridge your child's budding imagination to the future they will build by using drones and cutting edge technology to excite the mind, delight the sense of wonder, and inspire thoughts of what could be! Children are paired to learn STEM and team-building skills, engage in scavenger hunts, enjoy drone video/photo activities and drone races, complete obstacle courses, and participate in many other drone exercises centered around basic coding. More information at Drone Genius. Fill out the Léman Summer Workshops Registration Form and return it to us. Spaces are filled on a first come first serve basis.